Initially, we put ourselves in the clients’ shoes. 24/7-365 days, round the clock availability. A team of AdWords and Bing certified professionals at your disposal. 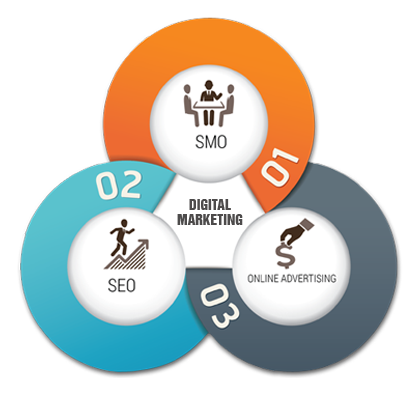 Expertise in all types of PPC campaigns. Highly proficient to accomplish the targets defined by our clients. Achieving top ranks in Google and Bing. We leverage our 10 years of experience to deliver the best possible solutions that meet customers' expectation. Ability to turn customer’s dream into reality has blessed us with a large number of gratified customers worldwide. We have proved ourselves by successfully accomplishing our assigned projects within a set time frame. Pay per click is an ideal marketing tactic in which advertiser/customer has to drop a few pennies each time their ads have been clicked by the visitors/traffic/leads/users. PPC Company let the advertisers typically bid on vital keywords relevant to their market. 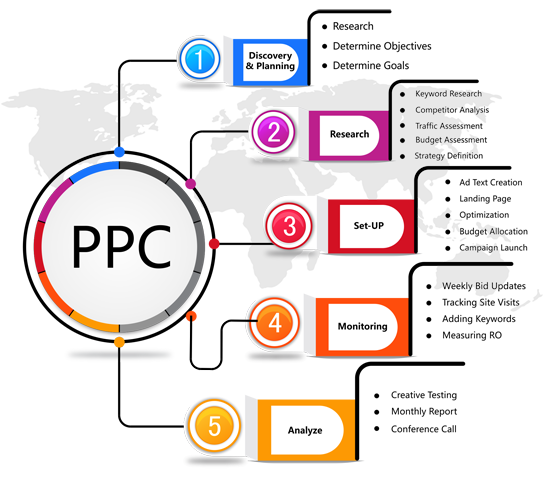 PPC marketing company that offers PPC ads display an advertisement when a keyword query is matched with the users explored keywords. 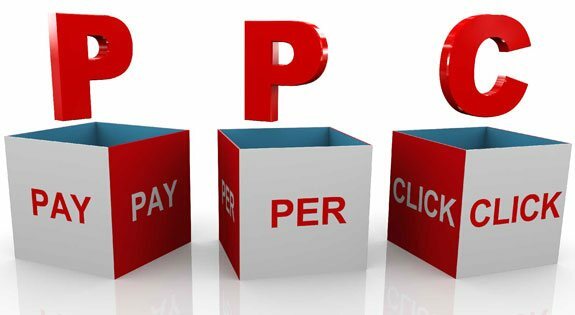 PPC marketing through its cost saving methodologies has proved itself as an asset to optimise customer’s return on investment. In a PPC marketing model you bear the onus on your part to pay a handsome amount of money to the host website in proportion to the number of users click on your ads. Whenever someone clicks on your advertisement, you pay the current Cost per Click (CPC) from your budget. Once your entire funds have been consumed, Google ceases your ads until you replenish your fund. Strategic planning for your small/large scale business. Segregation of negative keywords by authoritative optimization. Account management & Campaign allocation. Flexibility in the services considering customer’s budget. Auditing and improvement of quality score. Recommendations on Amelioration of Landing page. Heat Map Analysis & Recommendations. Unique Return On Investment analysis. Prominent keyword updation and ad split testing. Monthly assistance and continual account improvement. Recommendations for Remarketing & all types of campaigns.